Just as I was sat at home relaxing after hearing Leeds United captain Ross McCormack confirm he was staying at Elland Road, within 20 minutes all hell broke loose on Twitter. The soap opera has exploded into life as rumours quickly turned into confirmation that Brian McDermott had been sacked over the phone by the club. It’s still unclear who made this call, but the finger points at either GFH or Cellino. 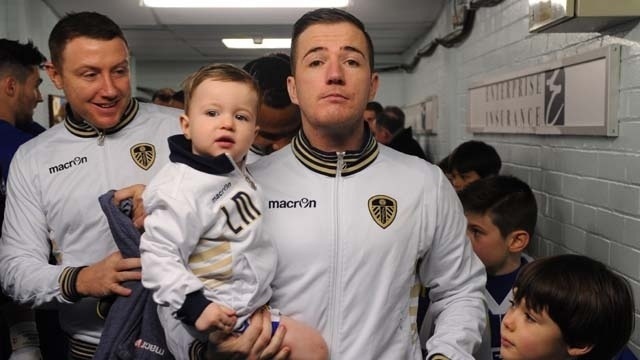 Ross McCormack made it clear in his interview that he enjoyed playing under Brian and that was one of the key reasons behind his decision to stay. Cardiff City had made a £4m bid earlier this afternoon which was rejected. Within 20 minutes of Ross saying he was staying, Brian was sacked and now it’s clear that our captain is unhappy, as are 99.9% of Leeds supporters. As we enter the final chapter of Transfer Deadline Day we are all unclear as to what is going on behind the scenes at Leeds. 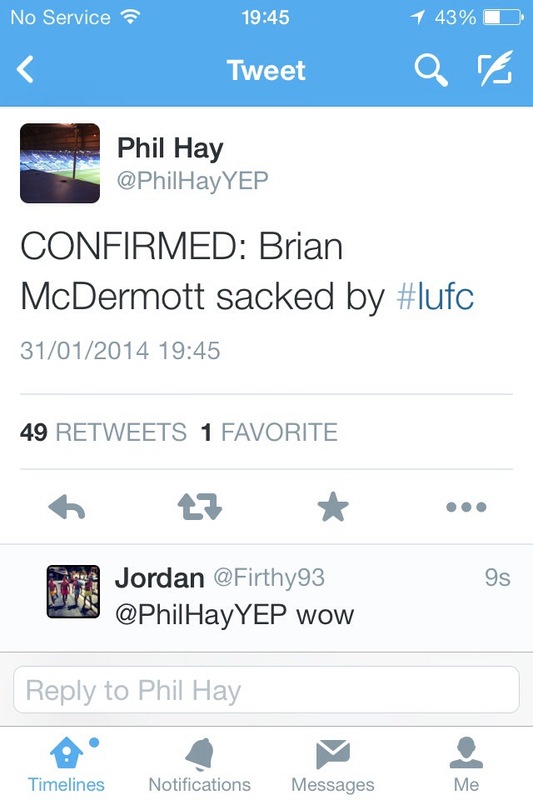 I’d just like to put on record my thanks to Brian McDermott. I really liked him and could see what he was trying to do at the club. Unfortunately he wasn’t backed and now it’s clear the club is out of control. Brian has been made the scapegoat and I can see certain people hiding behind this decision as to justify what has been done. I am totally stunned and am feeling the shock right through my body, I can’t get my head around this. Our club sponsors Enterprise have reportedly said that they may withdraw their sponsorship of the club in protest of the decision to sack McDermott. This makes me think that the decision has come from the new owners camp as they bring their own man in. Neil Redfearn finds himself in that familiar position of taking charge of team affairs until all the dust finally settles after this bomb shell. As things stand we haven’t sold anybody, but there are stories from Italy suggesting that two players from Cagliari are joining Leeds United on loan until the end of the season. It will certainly be an interesting atmosphere tomorrow at Elland Road. Let’s see what the next couple of hours bring. It was only at the beginning of the month that David Haigh revealed to the world that he was confident in finalizing the terms of his takeover. This would have given Brian McDermott the funds and most importantly the time to make the right decisions and subsequent additions to his squad. A couple of wingers arrived quite quickly albeit on loans and the excitement quickly took over all other emotions to those close to Elland Road. But in something not to dissimilar to a Timothy Burton Classic, the white roses of optimism soon shriveled into thorn riddled clumps of uncertainty. The knots were so entwined and thick that not even those closest to the takeover table could understand what was actually going on. So back to today the 31st of January, a date that is best known to Leeds Fans as “Jump ship and move to East Anglia day”. The optimism has now been officially drained whilst we wait and see if either the Italian or Manc win their takeover battle of Leeds United. One thing is for sure, there will not be any arrivals coming into the club today. There could possibly be a loan or two but with nobody in control of the purse strings, a bonafide offer of a transfer fee and contract with all this uncertainty will not be happening. Based on this there is only one name that I can see joining us today. 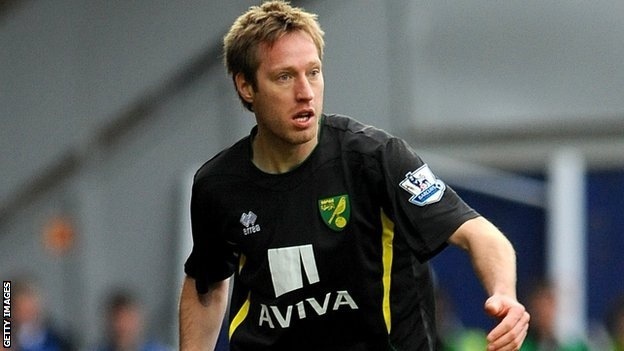 It’s that of former striker and modern day crowd favourite Luciano Becchio. He was one of many that saw the glow of the Norwich Yellow shirt as an appealing option of playing Premiership Football. Unfortunately for Luciano his time at Carrow Road has been a complete waste of time. He has only managed half a dozen league appearances in a year and not found the net. He has made it clear that he wishes to move back to Leeds and as Norwich now have sufficient backup in the striker department I can see this move happening over any other possible deals. Roll back 6 months and you’d be lucky to find anybody willing enough to take a squad player of ours, well times are a changing. We suddenly have some quite appealing options that could help reduce the financial burden at Elland Road. Here are my tips of four players that come tonight will all be at different clubs. Luke certainly did his reputation at Elland Road no harm at all by refusing to play against Ipswich on Tuesday night citing the reason because he didn’t want to risk injury. Blackburn are known to be after Varney who frustratingly on his day is one of the most complete strikers you could wish for. Performances against Sheffield Wednesday and Tottenham last season backed this up. He has struggled to hold down a regular position and needs to go. If we could get around £250k for him then this would be good business. I really like Paul Green, I am just so frustrated that he hasn’t made it into the Leeds side. He still plays at International Level for Ireland and has always shown glimpses of his potential when given the chance. The problem is the emergence of Mowatt and the signing of Murphy that have kept him out of the side. Ipswich are reported to be making a loan offer until the end of the season. I would be sad to see Green go, but this move makes sense to all involved. 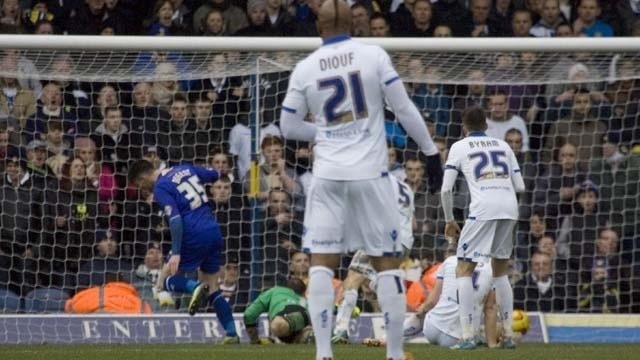 I think Diouf has been a good bit of business for Leeds in his time at the club. Where he has failed at scoring the goals to lead us to promotion, he has dazzled in some big games which proves he is in the wrong league. He may not be quick but he is smart. Not once has he brought the club into disrepute nor been involved in off the field incidents. 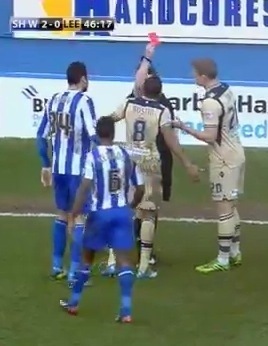 The one red card at Brighton was silly but he has remained a true professional around his personal issues at Leeds. I think West Ham will make an offer and anything around £150k would help the club. Danny has been a success story of the highest accolade. I think they will even make a film based on his story. From stuck in the reserves for so long to thrown into the first team and holding his place on merit, Danny Pugh has shown us what can be achieved. I think this is now the opportunity for him to get his move so he can enjoy playing regular first team football he deserves. Whilst there are strong rumors of McCormack and Byram attracting bids today I just can’t see them being sold. With Haigh still as our MD and Brian our manager, they will not let this happen. One things for sure, it’s never easy being a Leeds fan, on transfer deadline day it’s just a little bit harder! This last fortnight has been an absolute farce at Leeds United. Last nights 1-1 draw against Ipswich aided in as much as Masking Tape does when painting skirting boards. It barely does the job just in case anybody was wondering where I was going with that analogy. We were second best in long parts of the game and were very fortunate not to be on the wrong end of a 3-1 score line. Where this soap opera that is LUFC differs to every other clubs it is that the blame lays far away from the match day team and management. 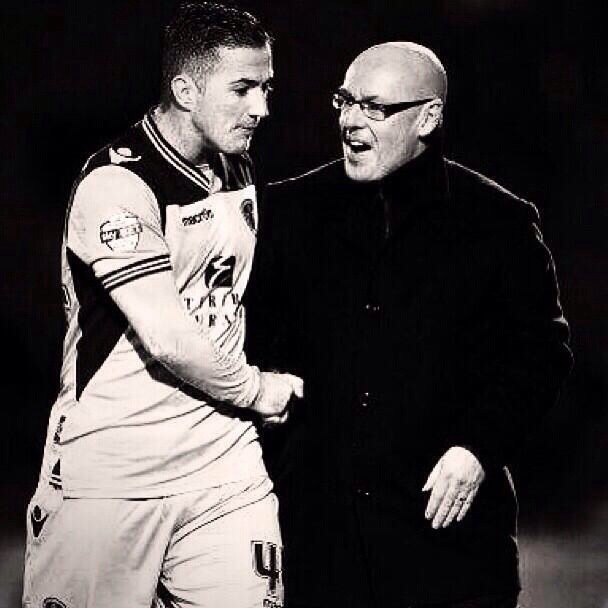 If it wasn’t for Brian McDermott’s determination, honesty, belief and integrity this would be far worse. He is single handedly keeping the team together and making do with over half the pieces that were left behind for him to play with. I can’t help but describe it like a Monopoly Set with just the crap properties left and very few hotels. If you take away the dog and top hat as well as the £100 notes, then it’s a pretty disjointed and sad affair. If Hasbro did custom board games then here is my pitch, I’ll name it Fiasco-opoly LUFC addition. If I raise enough money from it, maybe there will still be time for me to throw my hat into the circus ring better known as GFH’s takeover circus! So where is the change required? Well it’s obvious to me that it’s in the boardroom, this place hasn’t been right since the days of Howard Wilkinson & Leslie Silver. The heartbeat away from the fans comes from here. Towards the end of last season and the arrival of the Haigh Express away from Bates Towers we all thought a light at the end of the proverbially long tunnel was visible. It now appears that the light is content with moving along at the same speed of the train, sadly for us Leeds United fans the Haigh Express has just run out of coal. Haigh has tried his hardest with Flowers and the other one who I’ll probably end up spelling incorrectly oh and with Patel too. The issue is that they have all contributed financially to the point that they all need financial reassurances to ensure the deal with current owners GFH works for them all. This is where the problem lies, it’s too messy and this revised offer from Sports Capital to take account of this looks unappealing to GFH. So how does GFH respond to this reduction in offer from Sports Capitol? Well it’s obvious, they have played the market. They want to see how much they can get for Leeds United. You can’t blame them, they are an investment bank. This is where supporters and investors will never hold hands and skip the golden roads together, they just don’t go together. It was a lovely thought that Haigh would complete this and we would have a boardroom full of supporters but whom had a business head on them so vast that they could turn everything around off the field to support McDermott with what he needed to do on it. This just isn’t going to happen in this fairytale. I am resigned to a January transfer window shutting with no additions, but I’m pretty certain we will lose one key player. As I write this piece I understand Varney is off to Blackburn and didn’t want to play for Leeds incase he injured himself! Well that’s an encouraging sign right there. Frankly Varney you can get lost and move on, it’s where the word professionalism goes out of the window. 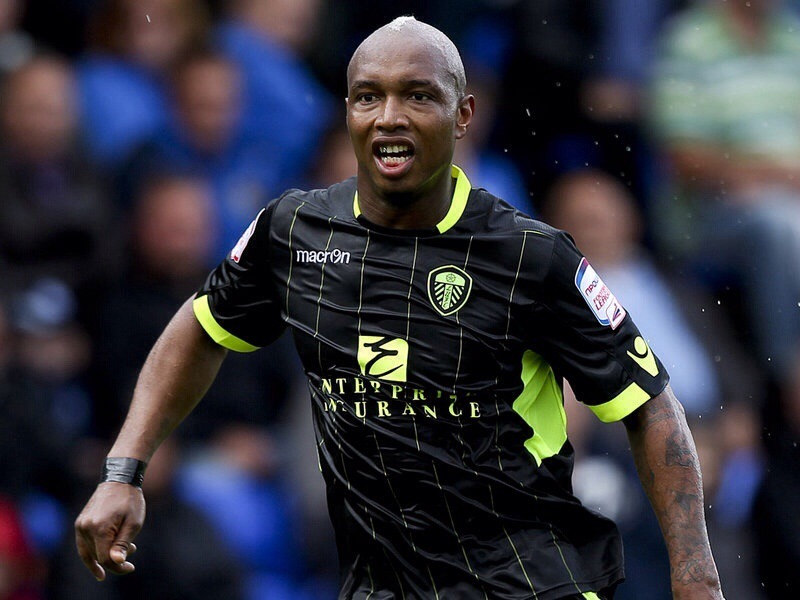 On another polar opposite, professionalism couldn’t be more evident than with Diouf. Nice to see he played for an hour last night and hasn’t been whining about what’s going on. If we can get him back to full fitness then maybe we will have a quality addition back. It’s never easy being a Leeds Fan, the Cellino takeover awaits!! 200 Unique Ales down, many more to come! Last weekend saw me drink my 200th unique Ale on Untappd. In the last year or so it’s been a fantastic journey. I’ve tried some absolute crackers and I’ve had some total stinkers. I’ve been to three beer festivals in 2013 which has given me not only a great opportunity to try some awesome ales but I’ve been in the perfect surroundings to enjoy them to the maximum. This little blog will focus on 3 of my crackers. These are Ales that I’ve given the highest accolade to, five stars. I rarely give these out, but there are three delights that I’ve loved on my journey and I’d like to share them with you. 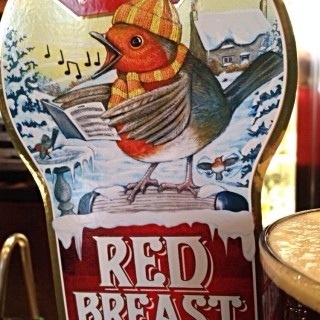 This Ale had me purring from the first sip. Currently on tap at the Brave Old Oak in Towcester, this is an absolute delight. Not sure how much longer this will be on tap but it’s got such a deep velvety flavor to it with a creamy taste. I only tried this last weekend but it’s the best I’ve had in 2014 so far. I will certainly be looking to buy this from another source once it leaves Towcester. Please try it today, you will not be disappointed. I was bought a bottle of this Nutty Ale at Christmas and was infused by the wonderful dark hoppy flavor that this English Brown Ale offered. I am a big fan of Dark Ales and this one didn’t disappoint. Full of nuts, chocolate and deep hops this was a pleaser. I hope that this is available again this Christmas, loved it! Old Tun is an absolute delight. 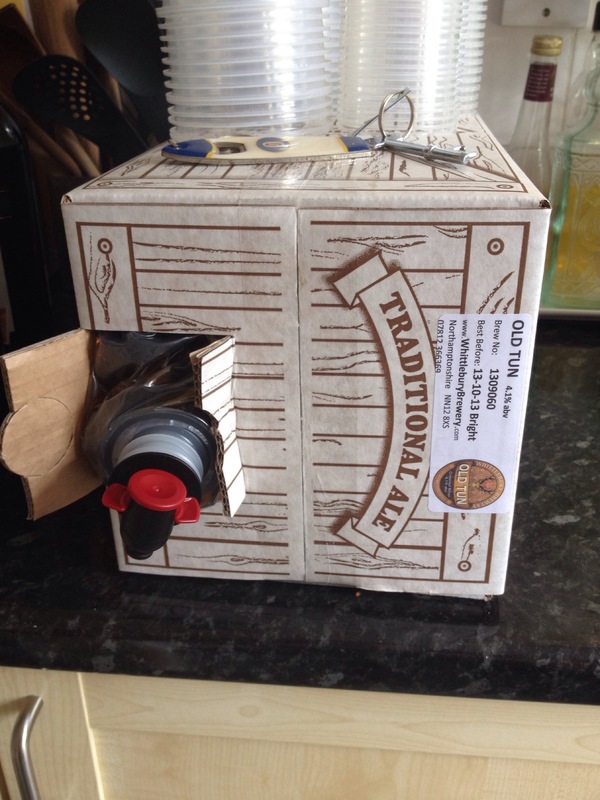 We purchased a case from our local brewery in Whittlebury. These boys do not disappoint, Old Tun is a lovely deep flavoured English Chestnut Ale. This went down so well at our Engagement Party and lasted less than half a day as it was drained right down to the end. Whittlebury Brewery are my local brewery and they set high standards. I can’t wait for their new Ale House to be opened in Towcester Mill. I will hopefully have some photos of the Mill soon to share with you all. Please follow me on Untappd, my username is markyjb. It would be great to see if we’ve tried any of the same ales and to compare our ratings. Since yesterday’s confusion regarding the takeover at Leeds United, I was hoping for a conclusion today. What we got was completely the opposite as we are left still wondering what exactly is going on. What we have learnt today is that Cellino is nothing more than a negotiator with Sport Capital as they look to conclude talks with GFH. Cellino said that he was flattered to be asked and that he regards Leeds as a close friend. He remains in the UK for the next 48 hours at the very least. 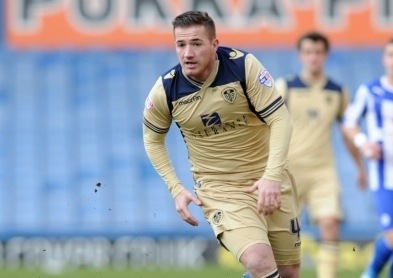 From nowhere West Ham United made a reported £3.5m bid for our newly appointed captain Ross McCormack. Ross has scored 18 goals and is the Championships top scorer this season so far. For those of you unaware of the situation, Ross signed a new contract in the Summer of 2013 following Middlesboroughs failed attempts to sign him towards the end of last season. The bid was promptly rejected despite West Hams confidence that they can prize our talented forward away from the club. Obviously the prize of Premiership Football is tempting, but Ross made it perfectly clear that he loves it at Leeds and was opposed to moving last year. His new contract showed the belief that Leeds had in their man and Ross quickly signed it whilst making his satisfaction well known. 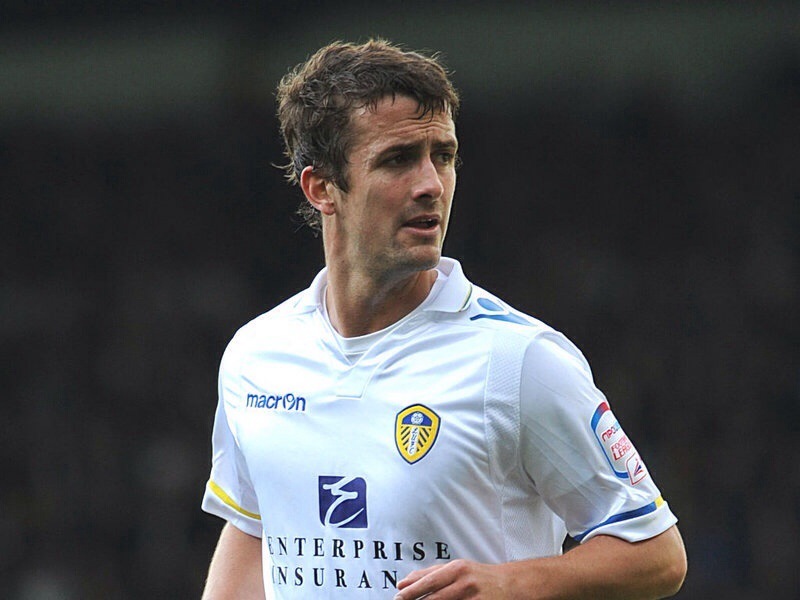 He has shown his incredible talent and value since he has been settled at Elland Road. I personally can’t see Ross leaving Leeds in January. I think West Ham will come back with an offer of around £4/£4.5m and wouldn’t be totally surprised if a player such as Carlton Cole was offered in the deal. Leeds MD David Haigh rejected the offer and reiterated the club and players determination to keep Ross at Leeds. Money is a strange animal and the longer this unrest regarding the takeover floats around Elland Road, I can see someone from GFH potentially making a decision to cash in. Lest we forget they are an investment bank, this would show a nice return. Let’s hope these next 7 days pass and Ross publicly repeats his love for Leeds and the great honor it is to captain such an amazing team. West Ham is not a career progression, they look disjointed and I can see them getting relegated this season. We need to keep Ross so let’s not disappoint, a bad decision now could rip everything achieved so far apart like a cracker at Christmas. Finally I got my ticket for Yeovil Away on the 8th Feb, I’m looking forward to standing on a terrace for the first time in my adult life. Then again at all games we rarely sit down! 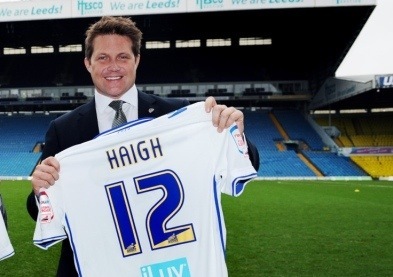 A couple of weeks ago David Haigh promised a swift conclusion to the takeover situation at Leeds. Two weeks on and the situation we find ourselves in is far from clear. Now I don’t personally blame David for this current position. I believe that he is as frustrated as the majority of Leeds United supporters are. As the exclusivity period between Sport Capital (David Haighs consortium) and GFH has ticked by it appears that another contender has joined the party. If you believe the strong rumors in the Italian Press circulating around the internet, Massimo Cellino has beaten them to the deal. The Miami based owner of Serie A club Cagliari has apparently been in London these last 48 hours to sign the paperwork required to complete the deal. So who is Cellino and would he be good for Leeds? Well according to football fans from Italy he is a hard nosed businessman who acts quickly when making decisions. He has gone through 36 managers in 20 years and demands success quickly. 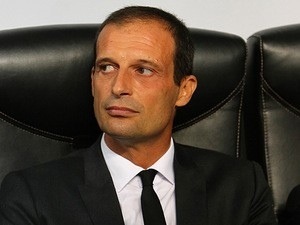 Another quite disturbing report suggests that he has already decided to replace Brian McDermott with former Milan coach Massimiliano Allegri. He has turned down the offer (if it has even been made?) however I feel this disruption is quite concerning. I want the current good feeling at Leeds to continue. Haigh, Patel, Nooruddin and Enterprise Insurances Flowers are the guys I want running our club. Why? Well they have being bank rolling our club these last few months and have made the positive feelings happen. A previous post of mine in August highlighted this turnaround at Leeds. This uncertainty of the unknown has quite simply scared me. I also wonder if this could easily wipe out all the positive steps the club has taken since Bates left. Now again it could be the complete polar opposite, Cellino could totally transform the club. Leeds United could be a feeder team for Cagliari should he keep them. The surge of foreign players who are more than capable at Championship Level with his own choice of boss could speed up the progress already made. Sentimental notes should be discarded as someone with the money puts himself out there to do it. I think it’s quite easy to get carried away but something is going to happen soon. Talk of Cesar joining us from QPR suggest that an Italian owner is on the horizon. The bookies rarely get these things so wrong, to suspend betting on a player with no prior links so quickly suggest a deals that close. So what happens now? Well I’m pinning my hopes on Sport Capital getting this completed and over the line. I just have a strange feeling a decision will be announced before the weekend. It’s never easy being a Leeds fan, that is for sure!! Leeds United welcomed leaders Leicester City to Elland Road on Saturday following last weekends horror show at Hillsborough. It was a strange build up to a game where part of me was bizarrely confident, I mean last weekends deserved thrashing was surely a one off. 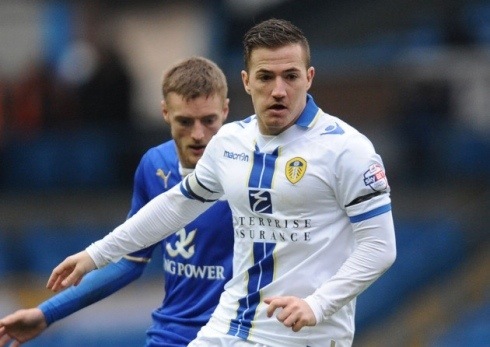 Earlier in the week Brian McDermott announced that Ross McCormack would be taking over the captaincy from Rudolph Austin. The decision centered around Rudy not being able to play his commanding powerful game due to the added responsibility of the role. Ross was originally asked about the captaincy before the season started, so it made sense for our stand out performer of the season so far to have the chance to demonstrate his leadership skills on the pitch. My obvious fear is the captains curse, one that Leeds are no strangers to. A player who has been finding the net for fun could easily lose this confidence that being captain brings with it. Just look at Alistair Cook in the cricket during this winters tour of Australia. A player who was easily in form after the Summer Tests, saw the teams results suffer which in turn saw his confidence falter. A whitewash saw him question his ability as a captain and now he is keen to rebuild his one day form without the extra pressures that captaincy brings. In a nutshell I’m frantically hoping that this extra responsibility doesn’t throw Ross off track on what has been quite simply his best season so far at Elland Road. Anyway enough of my worries let’s get back to the Leicester game. 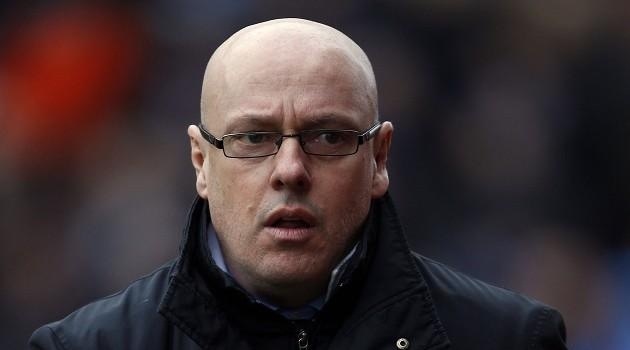 Back in front of the Sky Cameras for the second game in a row, Brian McDermott made a sweeping change to the starting eleven in a bid to shake things up. In came Brown, Lees and Varney in place of Zaliukas, Pugh and the suspended Smith. Both the new signings were in place for their first game at Elland Road, hoping to make an impact after last weeks slow start. The game started at a frantic pace and Ross was unfortunate to see his glancing header strike the post. Leicester replied and hit our post in the next attack but Leeds were denied by ex player Kasper Schmeichal as Ross found himself one on one with the Danish stopper. Ross tried to chip the out rushing keeper only to see it clawed away. The rebound was cleared away off the line as Lees looked to try and bury the header that looped up to him. It was clear to see from the first half that Leeds were putting in a performance and that the team were keen to repay Brian McDermott’s faith in them. It was a slightly disappointed feeling not to be ahead at half time, one feeling that was a million miles away last weekend. Brown was buzzing and a couple of hefty late challenges on him could easily have seen a red card. Good old Brown picked himself up each time and carried on. As the game headed into the later stages it was apparent that one chance was going to seal this battle. Leicester up until now hadn’t tested Paddy Kenny and it was slightly ironic that their first chance would see David Nugent roll the ball in from close range past Kenny. 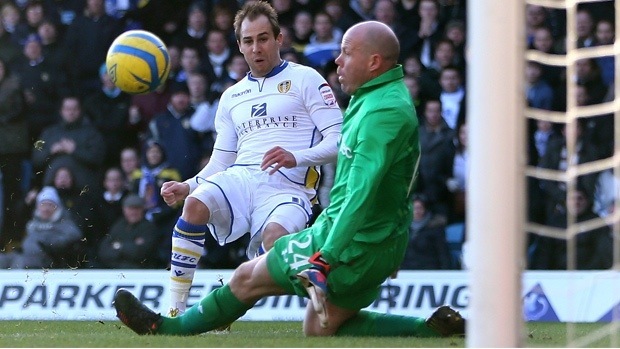 It was extremely harsh on Leeds who had tried their best to win the game against the leaders of the Championship. Leicester certainly stole the win, passed go and collected £200. I was certainly feeling different emotions from last week and it was great to see a cameo appearance from El Hadj Diouf. Leeds certainly asked a lot of questions of Leicester and they showed why they are the leaders by clinically finishing off their one clear chance. Leeds stopped the rot and can be extremely proud of their efforts. As I write this the takeover is close to being finalized and Leeds are supposed to be close to signing a third unnamed player. Rumors seem to be naming Leroy Lita from Premiership Swansea. At 29 he is a proven scorer at Championship Level so he would be a good addition. Let’s hope the visit of Ipswich next will see us get the points as well as another positive performance. 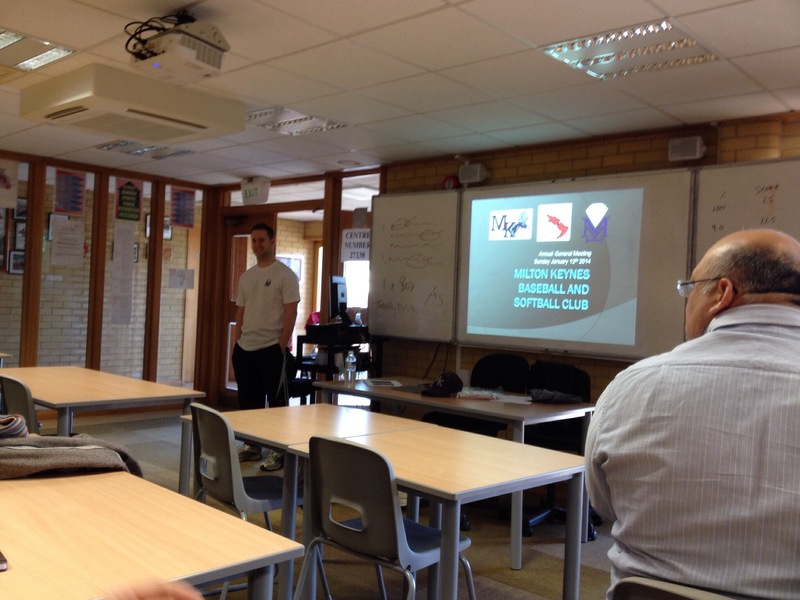 Sunday 12th January saw Milton Keynes Baseball & Softball clubs hold it’s AGM. 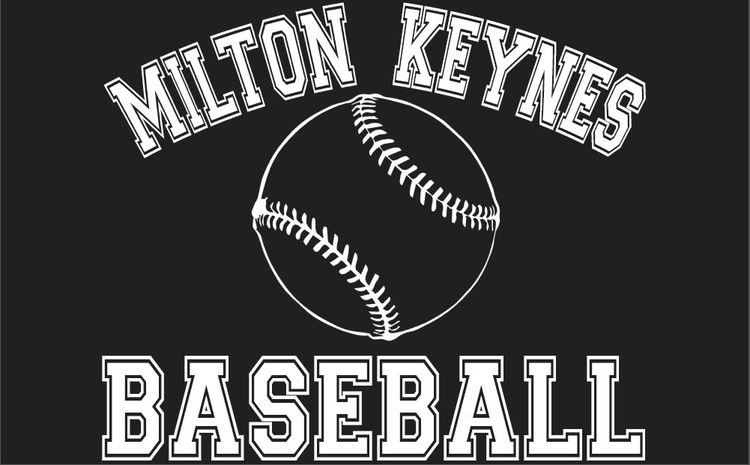 For those of you new to my blog, I play Baseball and have been playing for Milton Keynes these last two seasons. Milton Keynes have a very good set up and it was very welcoming to me when I first turned up for training back in January 2012. Milton Keynes currently have two Baseball Teams. These are The Bucks who play at AAA Level and The Coyotes who were formed in 2013 who play at A Level. Milton Keynes also have a Softball team called the MK Diamonds. Combined there are currently 80 players/members who are involved in these 3 teams which is a fantastic position to be in. Milton Keynes have ambitious visions for the future. This includes 4 Baseball Teams (Playing across the 4 leagues including National & AA on top of the current AAA & A levels) and 2 Softball Teams to compete in the Corporate League and Tournaments. in the National Baseball League (NBL) which is the highest level in the UK. The AGM had a good turnout with 29 members present for the voting in of committee members as well as viewing the presentation. Our Chairman Jon Reynolds painted an extremely positive picture for Milton Keynes both on and off the diamond. 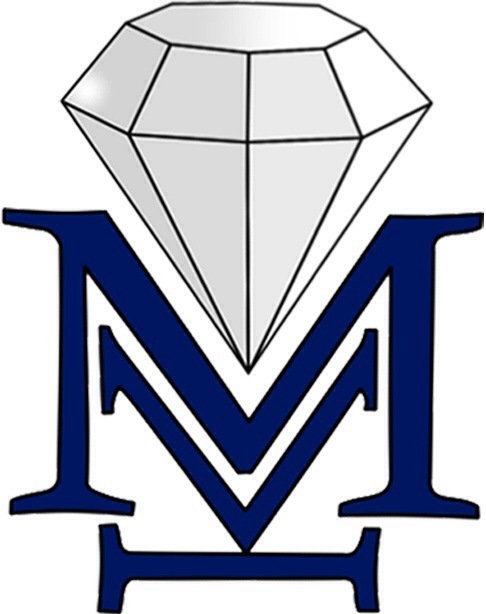 In Baseball The MK Bucks won their AAA Midlands League Division and in their debut season the MK Coyotes made the single A Play-Offs as well as winning the Midlands Minor League (MML) trophy in Leicester. In Softball the MK Diamonds made it through to the Semi-Finals of the Loughborough Tournament, their best performance in a major tournament to date. All positions were up for voting and the key highlights saw Jon Reynolds re-elected as Chairperson. Ernie Ayala was voted in again as Team Manager for the MK Bucks and Mo Hamden will take over as Team Manager for the MK Coyotes as well as head of Baseball Operations. Team Treasurers for Baseball & Softball will be Sid Benbow and Robyn Burgess respectively. Head of Softball Operations will be held again by Chris Borah and Hedley Bevan was unanimously voted in as Softball Secretary. Rachael Collyer has the vitally important role of Youth Development and Trevor Burgess will be running the Clubs Media. Good luck to all of the people above, I feel they are the right people for the job and with the clubs combined support it will ensure Milton Keynes grows together as a club. We then embarked on a mammoth session of indoor Softball which was thoroughly enjoyable and showed the strong links between our Baseball & Softball teams and the players who make them what they are. Good luck to MK Bucks, Coyotes and Diamonds in 2014! 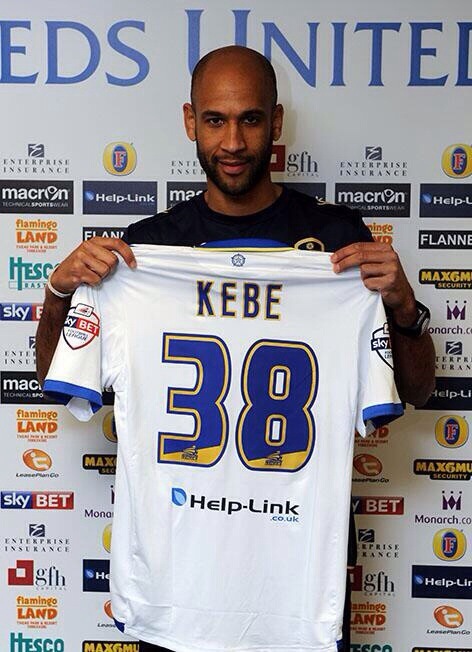 Jimmy Kebe has finalized his loan move to Leeds United until the end of the season today. The move was made in time for him to feature against Sheffield Wednesday in tomorrow’s televised match at Hillsborough. I for one am extremely satisfied with this signing. This is the one that really stands out and shows our intent on getting back into contention for promotion. Kebe has worked previously with Brian McDermott at Reading and part of me has this feeling that it could spark Hunt into action. Hunt has just returned from a lengthy injury and it’s abundantly clear he hasn’t received the service required for him to thrive at Elland Road. Either way it’s showing the ambition of our owners and Brian. 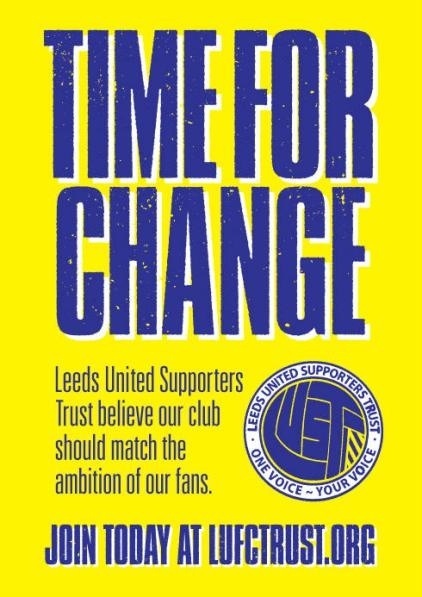 Together they are showing the Elland Road faithful that if it’s possible, they can try and make it happen. In other news from Elland Road today, a slight curve ball that nobody can honestly say they were expecting. Leeds United announced a partnership deal with the San Francisco 49ers. This move will see both businesses meet up and share ideas and successes as Leeds look to expand there already global brand. This can be nothing short of a smart move from Haigh and co, publicity of this level will do no harm at all. 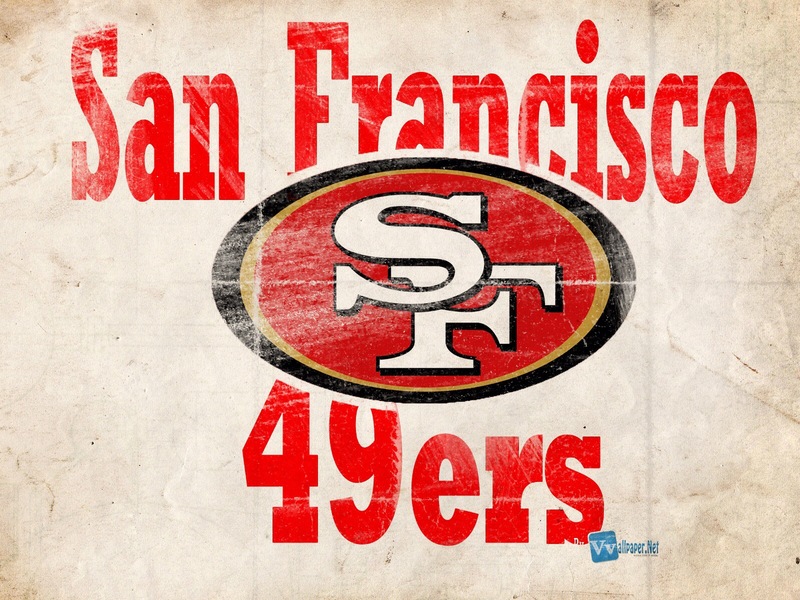 If there is one thing resolved today, I have found an American Football team to look out for and follow their progress. Life at Leeds is certainly on a thrill a minute ride. 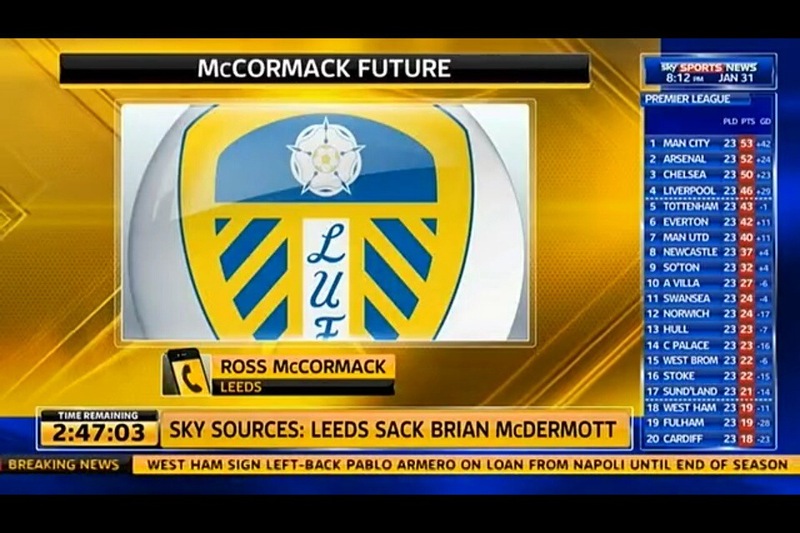 Finally Brian McDermott mentioned on Talk Sport today that he hasn’t ruled out further signings at Leeds. Given the fact that Barnes and Wells have joined Burnley and Huddersfield today, I wouldn’t be surprised if the Becchio stories start to appear again. I for one would welcome him back with open arms, I think he could be that final piece missing. Another player is like to see at ER is Adam La Fondre, with the BMcD links it’s one deal that could happen. 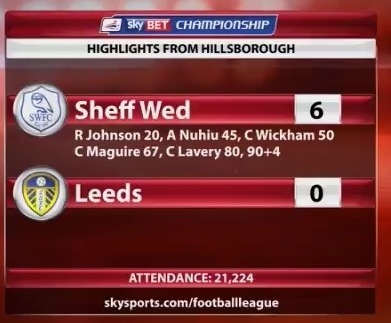 I am really confident that Leeds can get back on track tomorrow at Hillsborough and put in a performance. Let’s also use the width we can now exploit, Kebe and Stewart it’s time to shine boys!! A 3-1 Win is my Prediction!